“I guess they’re jealous that I’m so young and no. 1." 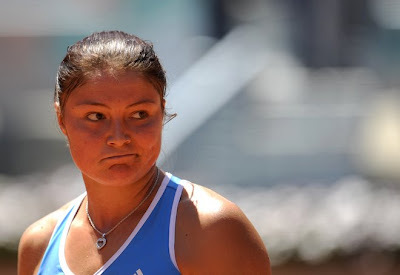 ~ Dinara Safina on being the most under-appreciated no. 1 in women’s tennis. Frankly speaking, like it or not, people do measure a pro tennis player's success by the number of Grand Slams won especially if you're a no.1 player in the world. Instead of taking those criticism in such a negative way, Safina should stop whining about it and start working towards her goal to prove everyone's wrong. She has a chance to prove it at the Roland Garros. But before that she has to beat rising star Caroline Wozniacki at the final match of the Madrid Open.